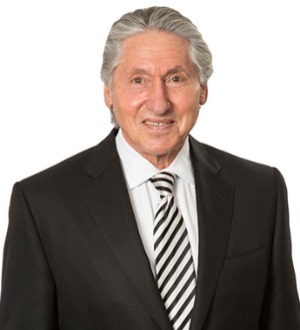 Since receiving his Juris Doctor from DePaul University of Law, James B. Pritikin, a founding principal of Nadler, Pritikin & Mirabelli, LLC, has built a distinguished career by practicing exclusively in the area of family law for over thirty years. Mr. Pritikin is a Fellow of the American Academy of Matrimonial Lawyers, and holds the honor of serving as a Past President for the Illinois Chapter of the American Academy of Matrimonial Lawyers. Jim has also served as a Director of the American Academy of Matrimonial Lawyers Foundation. Mr. Pritikin retains active membership in the Family Law Sections of the American Bar Association, Illinois State Bar Association and the Chicago Bar Association. He is a certified Matrimonial Mediator and Arbitrator. Mr. Pritikin was appointed by the Illinois Supreme Court as Hearing Chairperson for the Attorney Registration and Disciplinary Commission. University of Illinois - Chicago, B.S.